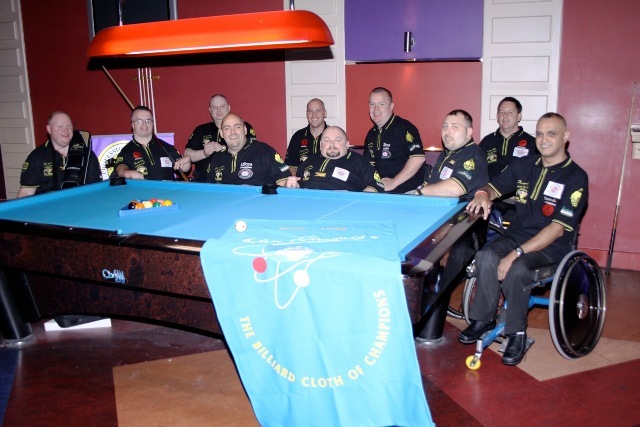 A common problem when purchasing pool table cloth is knowing which size cloth you need to buy. 1. UK pool tables are measured from cabinet end to end. So a 7ft x 4ft UK pool table actually measures 7x4ft from side to side and end to end of the cabinet. This means that the playing surface is less than 7x4ft which often leads people to thinking they have a 6ft table. 2. 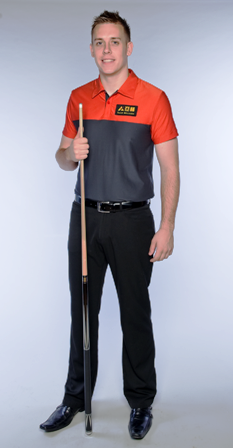 American pool tables are measured soley on the playing surface. A 7ft American style pool table has a 7ft x 4ft playing surface. Many people are actually unaware that they have an American style table and this can lead to the wrong cloth being bought. 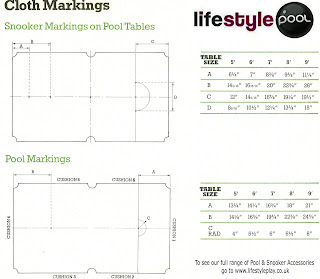 Below is a cloth cutting guide which most pool table cloth manufacturers work to. We hope this helps when choosing your cloth. 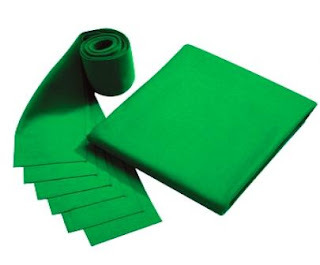 6FT BED CLOTH UK SIZE - 68" x 37.5"
7FT BED CLOTH UK SIZE - 78" x 42.5"
8FT BED CLOTH UK SIZE - 89" x 47.5"
9FT BED CLOTH UK SIZE - 104" x 55.5"
7FT BED CLOTH USA SIZE - 90" x 45"
8FT BED CLOTH USA SIZE - 104" x 52"
9FT BED CLOTH USA SIZE - 112" x 63"
Lifestyle Leisure Products are delighted to be showing our full range of Simonis billiard cloth at this years EAG show in London. We will be exhibiting our range of Garlando football tables, Simonis cloth, Aramith balls, and a host of other items. The show is at the Excel Exhibition Centre, London from the 25th to the 27th January. Is it any wonder with over 330 years of trading that Iwan Simonis has such an illustrious history? Here is a brief outline of how Simonis cloth has grown from humble beginnings to become known worldwide as the true cloth of Champions. The town of Verviers arose in the flat basin formed by the valley of the river Vesdre. The water here was of such high quality, thanks to its low lime content, that it was particularly suitable for washing wool. It was in this valley, with its low fertility due to the stony, irregular ground that the Simonis factory was set up in 1680 by Guillaume Henri Simon Simonis, a middle-class Verviers merchant born in the town in 1640 and known as “le Mercier” (“the haberdasher”). 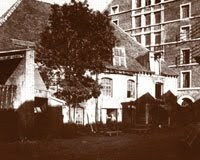 The company itself was established on a more permanent footing by Jacques Joseph Simonis and was named after his son Iwan, who was born in Verviers in 1769. The name Iwan Simonis is now synonymous with the highest quality pool cloth. At the end of the eighteenth century, a spinner in Verviers would work with a single spindle, whereas in England, the Industrial Revolution had already resulted in machines being used for spinning wool. The British government threatened anyone who exported this technique with permanent exile, in order to protect the country’s monopoly. Nevertheless, William Cockerill, a young British engineer, departed for Sweden in 1797 with the blueprints for his famous wool-spinning mill. However, no one seemed to be interested in his ideas, and he eventually ended up in Hamburg. There, he met a wool buyer from Simonis who realised the value of this technique, which had until then been unknown in continental Europe. This pioneer in the field then came to Verviers with his family and signed a contract in which he agreed to produce spinning machines exclusively for his new employer. The first machine was constructed in 1797 in the building known as “Au Chat”. Success was not long in coming to Simonis, which, in addition to being able to compete with the English on level terms, had gained a major technological advantage over its continental competitors. This spinning machine was only the first of many technological innovations that were to see the light of day in Verviers at the beginning of the nineteenth century. ngitudinal shearing machines and the Leviathan, which was used to clean the wool. More generally, electricity, the steam engine and the coming of the railways increased capacity in terms of both production and transport to levels never seen before. In this same period, the bill of exchange became widespread in commercial exchanges, seeing as it had the advantage of eliminating the risks associated with transporting and using cash, in the form of gold or silver coins, for business transactions. In 1857, demand from the wool industry in Verviers led to a plan to build a dam in the area, in order to supply all the local textile companies with pure water of equal quality. This dam, at La Gileppe, with a capacity of 12 million cubic metres, was inaugurated in 1878. All these innovations, plus an abundant supply of skilled labour, made Verviers a prosperous town and a centre of the wool industry, like its competitors Bradford (England), Mönchengladbach (Germany), and Roubaix (France). During the First World War, there was a sharp reduction in the trade in woollen cloth because of the shortage of raw materials. Then came the economic crisis between 1929 and 1935, which caused a further decline in industrial activity, especially in the Verviers area. Production was cut and workers were laid off. The Second World War followed and, like the first, led to a shortage of wool. However, there was worse to come. At the end of the War, the Allies mistakenly bombed Simonis’s spinning mill, and this prevented the company from playing a full part in the recovery in business life that followed. From then on, the textile industry in Belgium, along with that in the rest of Western Europe, continued to decline, and Simonis’s operations were no exception. 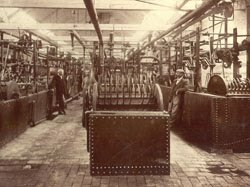 Simonis therefore had to close or sell some divisions, such as spinning, haberdashery, the production of woven garments, and the combing, scouring and carbonising of wool. Peltzer & Fils, a celebrated company in its own right, was established in 1785 by Jean Henri Peltzer, from Stolberg, in Germany. The company was set up at Hodimont, which is now part of the district of Verviers, but which at the time was part of the Duchy of Limburg, a Dutch territory belonging to the Hapsburgs.The company continued to expand, and a subsidiary was established in Buenos Aires in 1849 and another in Poland in 1885. In 1961, the activities of S.A. Simonis and Peltzer were combined and the Société Anonyme des Draps et Filés Iwan Simonis (or the Belgian public limited company Iwan Simonis Cloth) was created, with an emphasis on commercial continuity. The capital of this company was fully subscribed by the PELTZER group.The growth in demand for Iwan Simonis cloth in North America led to the creation in 2000 of the subsidiary Iwan Simonis Inc., at Gurnee, near Chicago, Illinois (USA). Iwan Simonis billiard cloth is now exported from the production site in Belgium to more than 50 countries, on every continent. In 2005, the Iwan Simonis companies celebrated their 325th anniversary. Unfortunately, a fire destroyed the company archives in 1982, and so the exact date on which the manufacture of billiard cloth began is not known. Nevertheless, for over two centuries, generations of technicians and skilled workers have been producing our world-famous, high-quality billiard cloth, which others have tried to imitate, but always in vain. Our large factories contain the very latest specialist equipment, and our technicians are constantly monitoring and improving the quality of Iwan Simonis cloth. 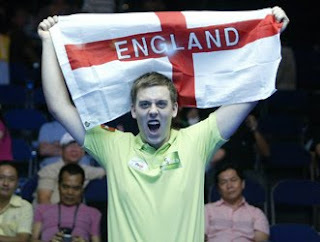 This is why, throughout the world, this marque means the very best in billiard cloth. 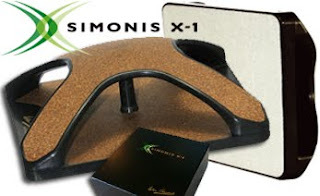 To the owners of billiard tables or billiard clubs, and to players, Iwan Simonis cloth means the highest efficiency, a perfect roll and absolute precision. 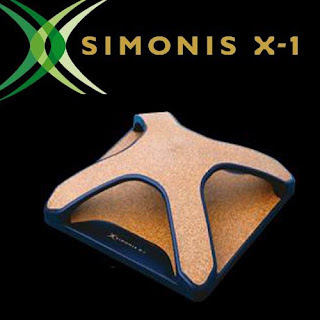 Simonis manufacture a complete range of cloths, to suit the characteristics of every type of game played on a pool tables throughout the world. SIMONIS, THE BELGIAN BILLIARD CLOTH MANUFACTURER, IN CONJUNCTION WITH THEIR MAIN UK IMPORTER LIFESTYLE LEISURE OF MANCHESTER ARE ONCE AGAIN SPONSORING THE BRITISH WHEELCHAIR POOL PLAYERS ASSOCIATION ( BWPPA ) WITH THE SUPPLY OF THE FAMOUS SIMONIS 860 TOURNAMENT BLUE CLOTH FOR ALL THE 2011 SEASON EVENTS. MATT GLEAVES, THE CHAIRMAN OF THE BWPPA, AND A PLAYER HIMSELF IS DELIGHTED TO CONTINUE THE RELATIONSHIP WITH SIMONIS WHICH HE CONSIDERS THE BEST SPEED CLOTH FOR THE AMERICAN GAME. THE TOUR HAS NOW BEEN INCREASED TO 5 EVENTS GIVEN THE INCREASED POPULARITY. THE MOST RECENT POOL EVENT WAS IN WAVERTREE LIVERPOOL ON THE 28TH AUGUST AND WAS WON BY ROY KIMBERLEY WHO DEFEATED MATHEW DUFFY 7 -2 IN THE FINAL OF THE WHEELCHAIR 9-BALL EVENT.